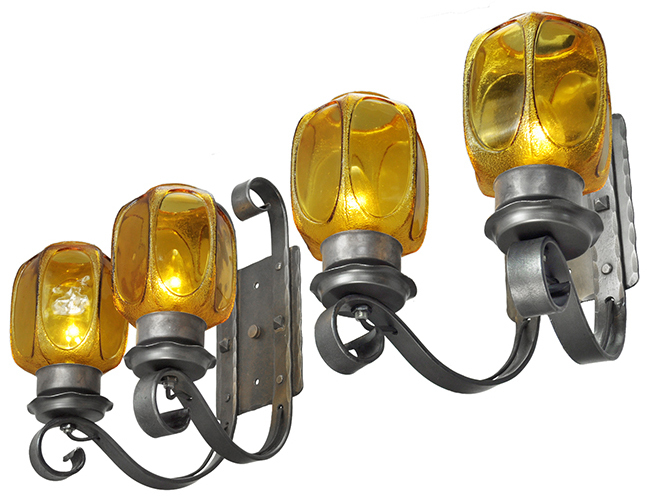 Very interesting pair of double sconces with rustic amber shades. Made from iron and steel, they could be used in a primitive motif setting, a Gothic one...or...even a country home setting. Very rustic indeed. Projection: 9 ½" from the wall into the room. These sconces have been rewired in our UL shop, and we have replaced the original sockets with common American medium based sockets. Note the antique style Rayon wire running along the arms for that complete antique look. A full mounting kit will be provided, so there will be nothing else to buy...or do...before mounting these lovely sconces. 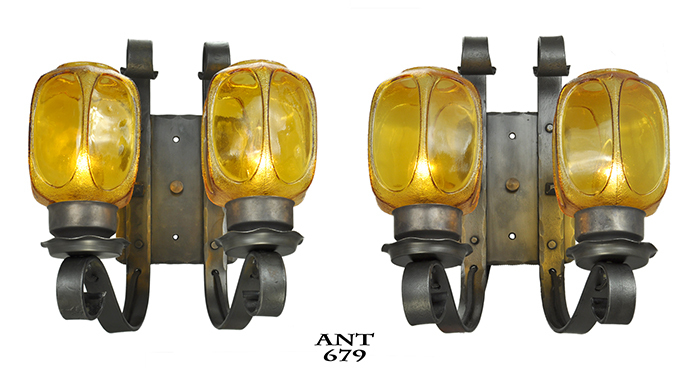 Price: $550.00 for the pair of matching rustic sconces, which are re-wired and UL approved. Shipping is a bit extra.